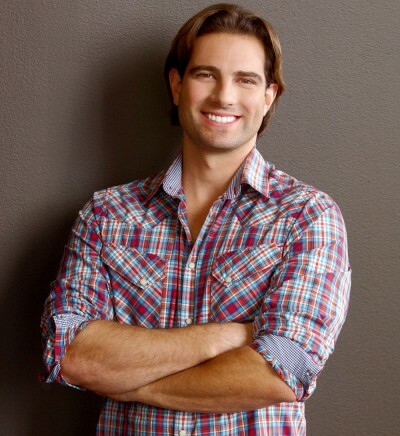 Scott McGillivray wants to help you pay your mortgage. As host of HGTV’s “Income Property,” the Toronto-based real estate investor has been guiding homeowners down the road to prosperity for six seasons. Here, he offers advice to Calgarians looking to dive into the secondary suite market. What was the first secondary suite that you worked on? I bought my first home at the age 21 and built an income suite in the basement. I lived in the income suite and rented out the rest of the house. I lived there for eight years…it was amazing! I never made one mortgage payment on that house. My tenants’ rent was enough to cover my entire mortgage plus the insurance. Considering Calgary’s current apartment vacancy rate (1.3 per cent according to the CMHC), do you think this would be a particularly good time for Calgarians to think about secondary suites? Definitely. Calgary has become a bit of a bull’s-eye in terms of investment. When you see a vacancy rate going down it means there are more clients, more opportunity and more profit. At an entry level it’s definitely a good time to get started, as it’s always easier when vacancy rates are low. What would adding one of these suites do to the resale value of your home? We have found that out of all the renovations we do to properties, we’ve added the most value and had the best return on investment by dividing a home into two units. Typically that’s because we’ll put in a basement apartment. Having a finished space in you basement doesn’t typically add a lot of value to your home…but having an income suite in the basement adds a tremendous amount of value. It really maximizes the potential of the home and it takes what is otherwise used as storage or a playroom or an unfinished basement in a home and turns it into an asset. Not only is it a completely finished basement but it’s an income generator. Do you have any cost-cutting tips for those who are in the market for a home that they could transform into an income property? The number one key is to find the right property within the legal zoning district. There are certain parts of the city where you can’t legally have an income suite and some cities give out grants. Really take advantage of these opportunities. Try to find a house that has easy divisibility, a separate entrance to the basement and good ceiling height. You don’t want to have to do any major major renos to the home to make the conversion. How about for those who already own their home? Awesome. The first thing you want to do, again, is check with the city about legal zoning districts. Then, get some estimates from contractors who understand the legalities of doing a rental suite or a secondary suite. Make sure that you’re doing it legally because it is a business and it should be run appropriately for the safety of yourself and your tenants. How does one find the right contractor? Get at least three quotes on the job…those are contractors that show up to your house. Go through those quotes, make sure that you’re not only comfortable with those quotes but that you’re comfortable with the contractor as well. Get everything that will be included in writing so if any surprises come up there’s no arguments. Even if you’re hiring someone, go online, do your research and find out what makes a legal income suite. People get a lot of ideas even from watching my show or coming to one of my events. Speaking of your show, “Income Property” has been lengthened from 30-minutes to a full hour. What will be different about this season? The fans wanted more information. They’ve been asking how to find the right house, so we thought all right, let’s show people how we search for the properties, how we evaluate them and how we fix, renovate and rent them. There’s definitely a lot of information in [this season]. The all-new extended season of “Income Property” premieres on Thursday, January 31 on HGTV Canada. For more information about zoning regulations for secondary suites in Calgary, visit Calgary.ca.